Argentina Discovery - Cabo Blanco Nature Reserve. 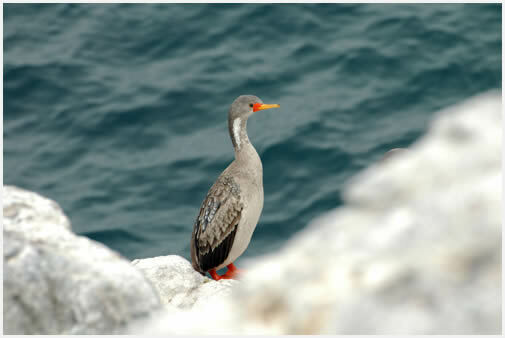 The Cabo Blanco Nature Reserve was created by Decree of the Province of Santa Cruz N ° 1561 of 1977. It was declared as "Intangible Natural Reserve". The purpose of it was to create a reserve for the one area for breeding and fur seal (Arctocephalus australis) in the province of Santa Cruz. In turn, there is also a colony of sea lions (Otaria flavescens), and a significant diversity of seabirds. In the year 1939 had been declared as National Intangible Natural Reserve, a status that did not keep going from Homeland to province in 1959. The Nature Reserve covers an area of ​​737 hectares and is managed by the Provincial Agrarian Council of Santa Cruz. It lies near the southern end of the San Jorge Gulf. The geographical position which is located 47 ° 19 '"S 65 ° 44'" W.
A journey of 88 miles of flat plateau to the north of Puerto Deseado. And then, suddenly, after making this journey, called attention to a red brick lighthouse on a rocky mass. Approaching him down there are two hairs sea lions swarming among rocky islets off the coast. Yes, the place is Cabo Blanco, the site of one of the surviving populations of sea lions in Argentina. The sea lions seem to be under the lighthouse, are free and under the watchful protection of a ranger. But in the eighteenth and nineteenth century was not the same. They were hunted relentlessly by people seeking his precious skin. That was until 1937, the year when the national government decided to protect these animals and ordered to Cabo Blanco Nature Reserve Intangible. From there, the two hairs sea lions or fur seals, as they are called normally-resumed a slow recovery, but continues. Although the star is the fur seal, other accompanying species in Cabo Blanco. You can see sea lions (Otaria flavescens), several nests of cormorants gray, black collar and imperial cormorants cormoran rookery.